By Peter Alguacil, on 17.6.2014. 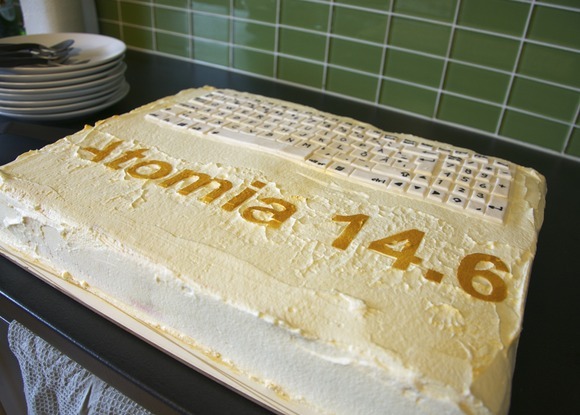 We launched a new release of the Atomia cloud hosting platform this week. That merited a cake, we thought, so we asked Elin “Kringelin” Bergman to make us a yummy one. Here’s the result, and it was indeed very yummy. Thanks Elin! By Jimmy Bergman, on 16.6.2014. Today we are proud to announce the availability of a new release of our cloud hosting platform on our supported stable branch. The release is named 14.6 and builds upon the release made in January with an ongoing focus on quality and improving the existing functionality. By Peter Alguacil, on 13.6.2014. Next week it’s time for HostingCon in Miami Beach, Florida (June 16–18), and of course some of us from Atomia are going to be there. We’d love to meet you if you’re around. By Peter Alguacil, on 10.6.2014. As you may have noticed, we’ve made some big changes to our website. The old one had been around for a while, so we thought it was time for a refresh.